The laid-back Wine Garage is filled with small-production wines, many from less-famous regions like Lodi, Paso Robles, and Amador, all under $25. The owner negotiates prices, so you can find some great deals. The best bargain of all: For $30 or less, you get a half-gallon jug--equivalent to almost three bottles. 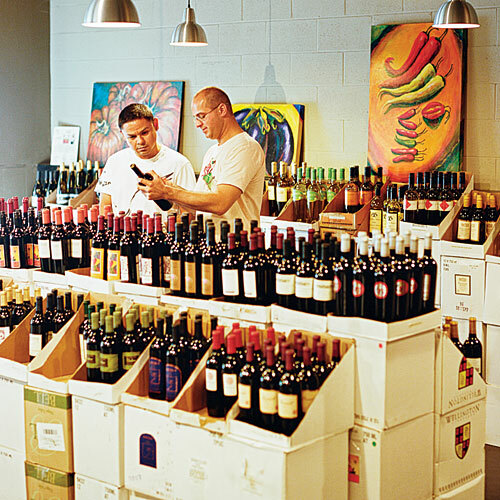 The laid-back Wine Garage is filled with small-production wines, many from less-famous regions like Lodi, Paso Robles, and Amador, all under $25. The owner negotiates prices, so you can find some great deals. The best bargain of all: For $30 or less, you get a half-gallon jug–equivalent to almost three bottles.